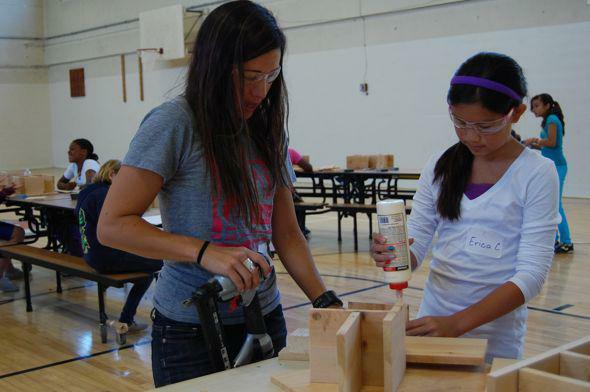 Camp H: Emily Pilloton's design camp helps teach young girls how to build. Camp H is an innovative program that teaches 9- to 12-year-old girls how to design and build. Emily Pilloton first discovered the rewards of teaching kids to design and build while co-founding Studio H, an innovative high school shop class in Bertie County, N.C., that was featured in If You Build It, a recent documentary that is now playing at the IFC Center in New York and soon to tour the country. The designer-teacher-activist is now running Studio H out of REALM Charter School in Berkeley, Calif., where she has founded Camp H, an innovative after-school and summer design and build camp for 9- to 12-year-old girls. Emily Pilloton runs Camp H in Berkeley, Calif. The goal of Camp H is to offer girls practical creative and problem-solving skills in a nonacademic setting to build confidence to help them through the rest of their school years and beyond. 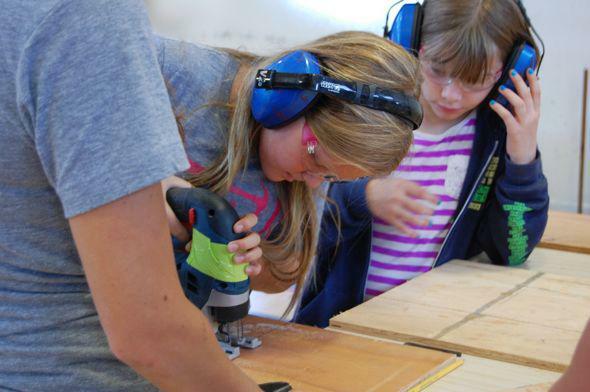 “It’s a moment in their lives when they are about to become disenchanted with math and science and school in general,” Pilloton said, adding that the kind of hands-on building work she had them doing––cutting plywood with a jigsaw, fusing metal with a welder––offered them the chance to learn math and science skills in an organic way while building meaningful projects for themselves and the community. Pilloton said that she felt a special connection to this age group, remembering her own childhood years aged 9, 10, and 11 as a “seminal moment” when she learned how to feel competent and empowered by playing sports and learning how to work with her hands. And while she is wary of making sweeping gender-based generalizations, she said that she chose to create an all-girl camp after noticing the differences between how her female and male students tackled problems, with the boys often jumping right in and the girls generally wanting to be apprised of the steps that would follow before tackling a new project. 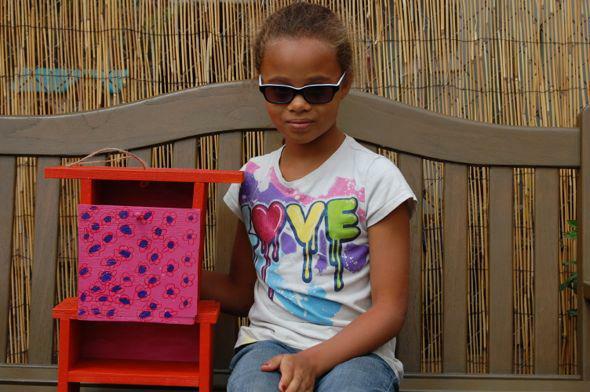 A future session will have the girls building furniture and lighting for a women’s shelter.